On Saturday morning I got to visit the Farmer’s Market. I was really pleased as I haven’t been there for a few weeks and I wanted to check out the new stall. 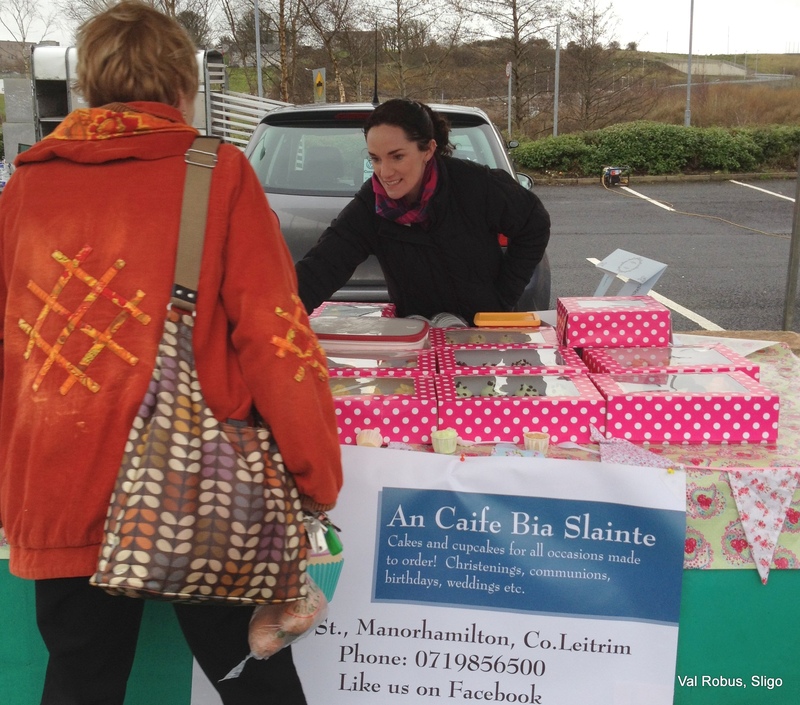 The other new stall is An Caife Bia Slainte who make wonderful cakes in all kinds of lovely flavours. It was a hard job deciding which ones to choose. 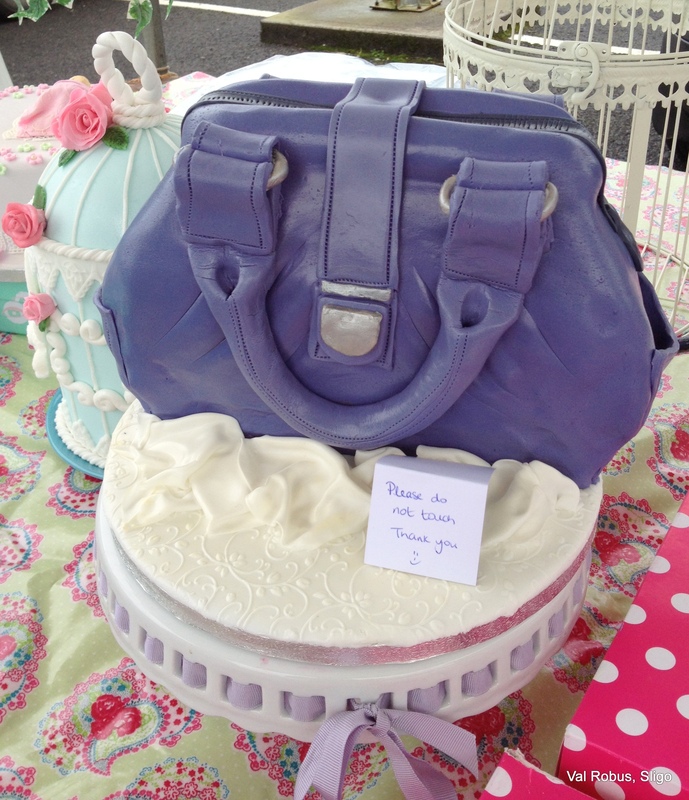 Can you believe this is a cake! Wow! I took more cake photos if you want a look. 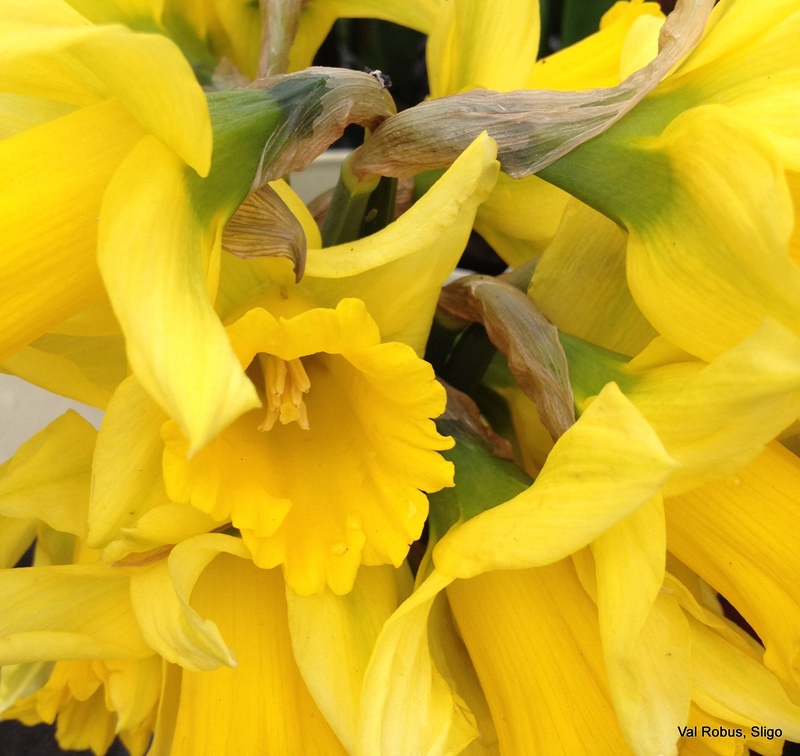 I treated myself to some beautiful daffodils from Leitrim Flowers. Although their stall wasn’t there Trimilawn Farm Herbs were doing a great job selling some of their flowers and plants as well as their own wonderful selection of herbs and teas. 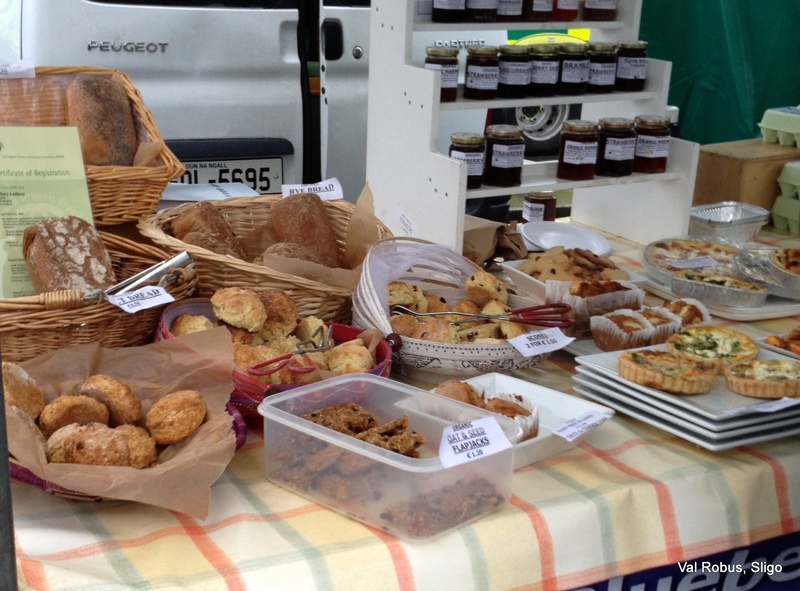 If you haven’t been to the Sligo Farmer’s Market before it’s well worth a visit. There is such a great selection of products for sale and the atmosphere is brilliant. It’s on every Saturday in the IT Sligo from 9am-1pm. There’s great selection of stall and those pies sound delicious. I’ve got to get myself over there one of these Saturdays. It looks wonderful! You were at the Christmas Market in Carrick? The inside one at the Dock or outside? I was there, too. Trimilawn Farm’s herbs are absolutely brilliant. My craft table was next to theirs at Christmas Market at King House in Boyle, and Ellie and Brian have wonderful stuff on offer, I agree! We bought three jars of spices and herbs from them that weekend – Lemon Pepper, Jamaican Jerk spice and Ras El Hanout, which we loved so much and used so much of, that when we were at the Carrick Winter Market the following week, we bought an even bigger jar of the Ras El Hanout. 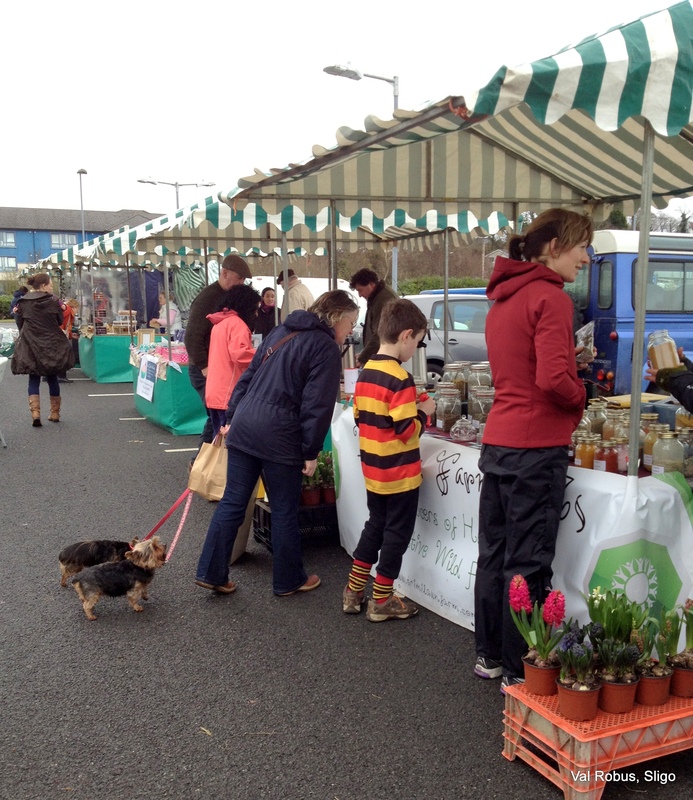 I was at both markets in Carrick June, just having a look around. I didn’t get to the Boyle one as that was the weekend we had our animal rescue jumble sale. It’s always the way around Christmas time – so many fairs I wanted to go to (both as a vendor and a shopper), but they all fall around the same time, as there’s only so many weekends in December (and the latter part of November). Wish I could’ve gone to that animal rescue jumble sale, though – not just for the jumble sale itself, but to help with the funding for it. Every little bit helps – especially when it comes to animal rescue and shelters.